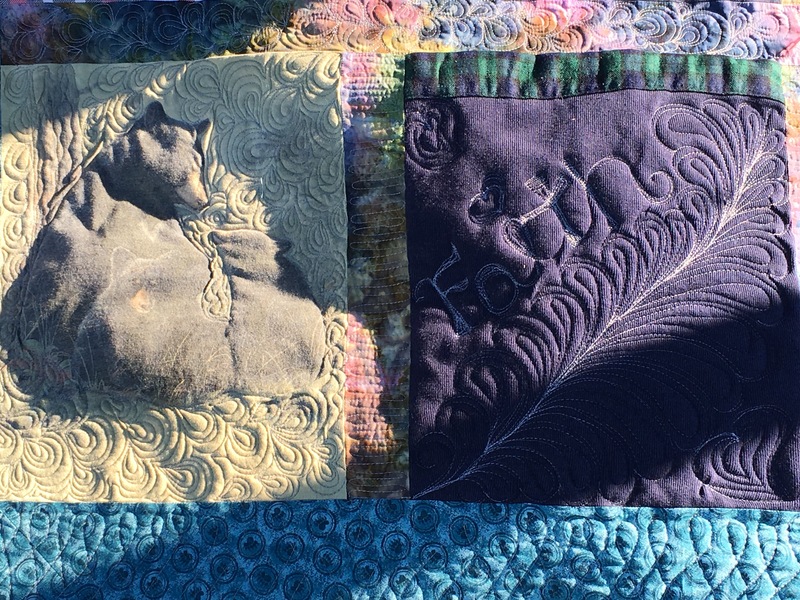 I wanted too share a very special quilt with you, well two to be exact they are treasures from the heart and it in turn has taken me a year and a half to try too accomplish. These shirts may seem like just ordinary shirts too some, oh but they are so much more. If you have been following me for awhile you will know that my grandmother passed away last year, unexpectedly it tore my heart too shreads I was numb, I greaved in silence, my work was my sanity my family was my rock!! I turned to god asking him too please give me strength each day I went in too a huge depression I did not want too interact with people, I started running more I really let my health slide. I felt as if that gaping wound would never heal, In time I have excepted the reality and have been coping better, I was finally ready too accomplish this beautiful task. 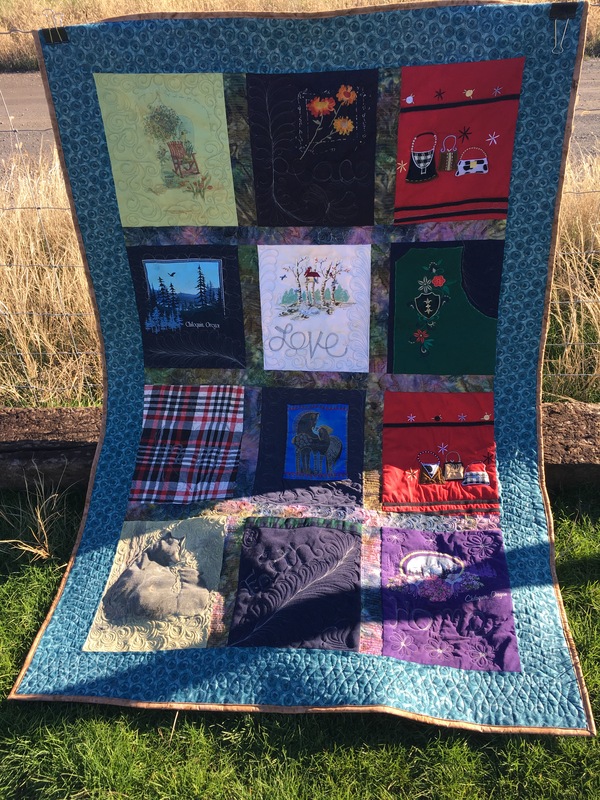 I took the beautiful shirts of my grandmothers and first made three quilts too pass on too her sisters as they needed something tangible to ease there pain. I struggled so very much doing that but I knew I needed too do it, they loved the treasured gift it made me happy that there memories of each shirt was unique and special and what each one symbolized too them. Then my grandmothers sister fell ill and passed away only eight short months after my grandmother it was grief alley all over again I was close, to this aunt she was my link to my grandma and so I started too try too pick up the fragile pieces of my heart once again. My family helped they listened when I had days that my pain seemed unbearable, I then in turn kept looking at my grandmothers shirts trying too feel that warmth of her hug, her smile her sweet voice, my healing started once more a few weeks ago I picked the rest of her shirts and jeans out of the neatly folded pile. It was time for me too make a memory for a sweet baby that was born my sister and her husband had a beautiful baby boy. I wanted him too know the great grandma he never was able too meet too have a link too her legacy. That’s when I started his quilt made with soft fleece, and worn jeans the jeans of her life I started a memory to share with him I saved one pocket and put it in the center so he can one day write love letters too heaven to her, I felt better knowing I have defeated my inner fear, of letting go but helping others live through her strength. 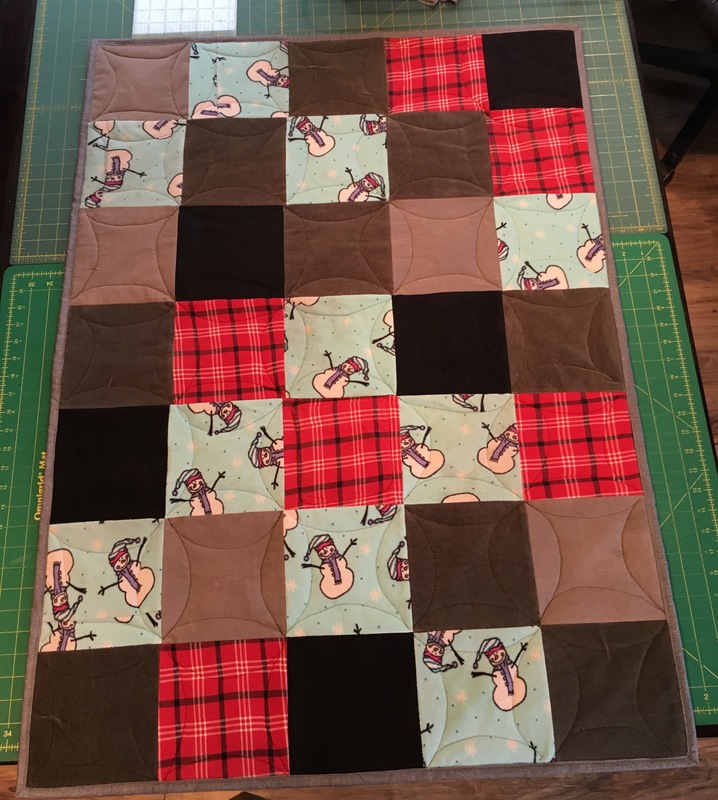 After I finished that special quilt I started another one for my mom, A special treasure for her from her mother I hope the memories that flood her are wonderful, in turn they help too strengthen her and help her too know how much she’s loved how my mom holds us all together like glue even tho are world is falling apart. In turn I took the old, the new, the favorite shirts of my grandmothers and quilted them with words that are reflective of my grandmother. Love, peace,faith,home all things dear too her heart, I want to thank all my friends as well for there support in this difficult time of my life!!! Where would I be without Gods grace his constant blessings in my life of Family and friends I’m truly blessed beyond words I hope this little insight in my life will possibly help someone else that maybe struggling, or that feels helpless and lost just know you need too lean on the old rugged cross!!! Many blessings too you all.